Showing results for tags 'atv585'. KR-40 remote control stopped working My kr~40 remote control has stopped working after I removed it and tried to use it on my PC. Now it doesn't work on my TV box. How do I solve the problem? Any help? Add-ons won't load after beta upgrade atv585 Still unabĺe to use atv585. Successfully upgraded to Beta but cannot get any add-ns to load. Says may be due to no WiFi connection but I'm connected. Very very frustrating. I'e spent hours on this and still can't use it. ISSUES with ATV 585/600 Android 5.1 Beta Firmware - 28/06/17 Hi, does anyone know whether the upgrade on a ATV585 to android 5.1 uses a unique id for the box or does it use a common id? Currently i think its using a common id. the DSTV NOW app does not work as the device id has been registered already. Here is Beta Firmware to upgrade your ATV 585/600 to Android 5.1 You can install this normally using an SD Card or USB drive and the pre-installed upgrade app. This does not require the reset button like before, however, if you would like to you can load this through the Recovery Menu as well. Just extract the IMG file from the zip folder and move it to a USB drive or SD Card that is formatted to FAT32. 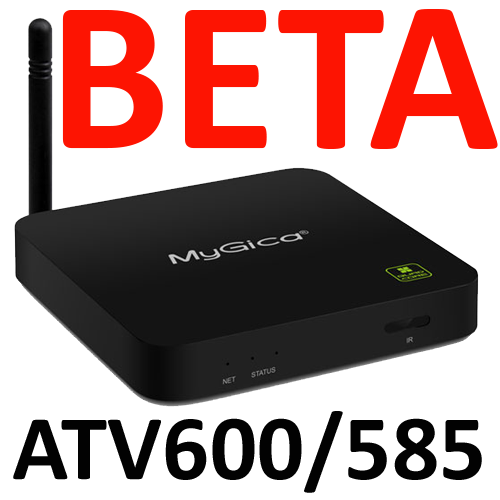 **PLEASE NOTE THIS WILL FACTORY RESET YOUR DEVICE** - This is our MyGica version of Android 5.1 and not Android Stock version like we offered before. This has been worked on for awhile now. Change Logs: 1. Updated to KODI 17.3 2. Updated Google Play Services 3. Faster Performance 4. Fixed Mac Address changing 5. Turned off click sounds when browsing through the Home Screen + Android Settings 6. Fixed Screensaver issue when watching a video 7. Improved video playback 8. Improved standby issues as best we could. There is not much more we can do about this issue. 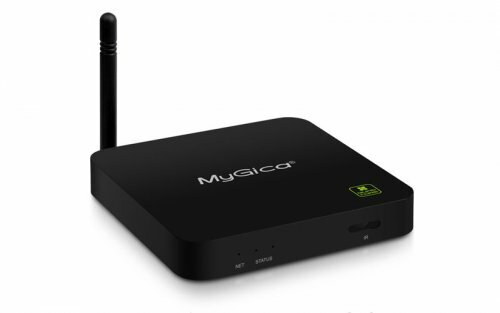 Hoping someone here will have a solution we haven't thought of yet.We got the MyGica ATV585 just after the new year, and still haven't been able to get Showmax to work.We have tried updating, factory reset, have followed the instructions given here: http://www.syntech.co.za/newsbytes/t...howmax-update/Installed the firmware update both manually and automatically. No joy. Showmax app is still saying the device is rooted.Our next plan was to try and format completely, download a different version of Android and install that, or find an older version of the Showmax app somewhere and set it so that it doesn't update.Think this might work?Anyone have any ideas?Really getting desperate, as it's a waste of subscription fees at the moment.